Treasure At Tampines (former Tampines Court) is a new launch development By Sim Lian. The 702,164 sq ft site is snapped up by Sim Lian for a cool $970 million, which is the largest such deal for a former Housing and Urban Development Company property in a decade since Farrer Court changed hands for $1.34 billion in 2007. The plot of land is expected to house more than 2000 units, making it one the largest new launches in recent memories. There are several reasons why Tampines is one of the most popular areas in which families choose to reside. There is a wide range of amenities that provide convenience to the future residents of Treasure At Tampines, including three shopping malls: Tampines Mall, Tampines 1 and Century Square. Major tenants of these malls include Isetan, BHG, H&M and Uniqlo, among many others. Families do not need to travel to town for a weekend shopping trip. For grocery shopping, Tampines residents can count on FairPrice, FairPrice Finest, Cold Storage in the three malls, as well as a Giant hypermart. Plans are in place for the construction of Tampines Town Hub, which will concentrate sports, retail and community-related activities into one location. Tampines’ neighbourhood parks also offer residents reprieve from the hustle and bustle of city living. Plans are also in place to ensure that most homes will be within 400m of a park or park connector. More green spaces have also been planned, with Tampines North Quarry Park and Boulevard Park expected be completed in the near future. For Treasure At Tampines families with youngsters, Tampines is home to many educational institutions and childcare centres: A search on Street Directory reveals 74 childcare centres. Various schools — from primary to tertiary — are also located in Tampines. 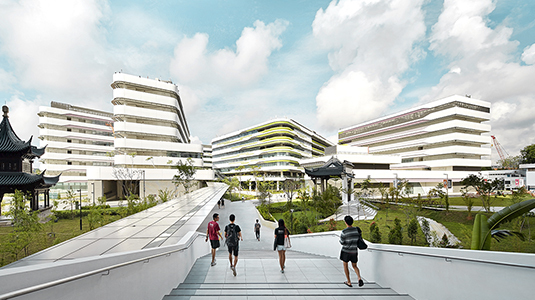 The Singapore University of Technology and Design (SUTD) has also recently moved its campus to Simei. In terms of public transport, Tampines is served by the East-West Mass Rapid Transit (MRT) Line and Downtown Line and an extensive bus network. The new Downtown MRT line is expected to alleviate congestion on the East-West Line and provide a strategic transport link for residents and commuters living in Tampines to the Marina Bay area and the rest of the island. The east is a major employment hub outside of the CBD, with more than 1 million sq m of existing commercial space. The main employment clusters include Tampines Regional Centre, Changi Airport and Changi Business Park. Tampines Regional Centre is where several banks such as OCBC and UOB have located their back-end operations. Household names such as Singapore Airlines and Hitachi also have their offices there. Changi Airport is home to 77,000 jobs and accounts for 3 per cent of gross domestic product. Changi Business Park, Singapore’s largest integrated business park development, is a 71,000sqm project that houses tenants such as DBS, IBM and Standard Chartered. Tampines strikes a balance between being affordable and convenient. Staying at Treasure At Tampines, one can easily find opportunities for work and huge pool of tenants working in the area. Those working at Tampines Regional Centre can simply walk to their workplace or take a short bus ride. 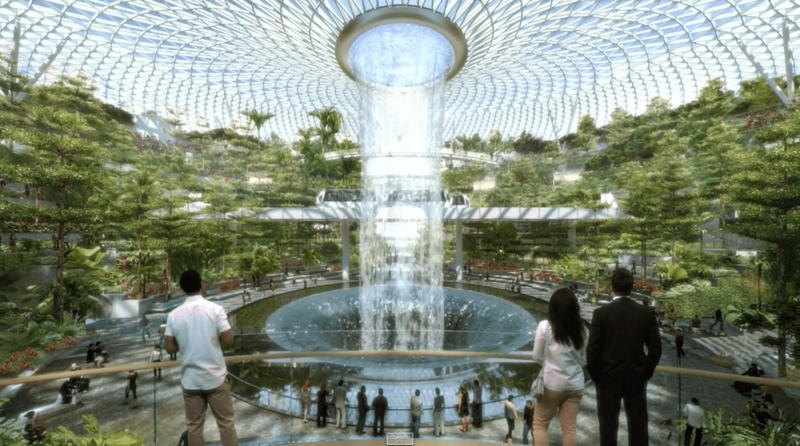 Changi Business Park and Changi Airport are a short MRT ride away. In addition, business travellers who need to fly frequently may find Tampines an attractive location due to its proximity to Changi Airport. Further demand for housing in Tampines may be fuelled by the Government’s plans to add more commercial space in the east. According to Urban Redevelopment Authority estimates, another 504,000sqm of commercial space will be added, almost 40 per cent of current stock. Part of this will be from expansion plans at Changi Airport and Changi Business Park. Terminal 4 of Changi Airport is due for completion next year and Terminal 5 and Jewel are in the works. These new projects are expected to create thousands of additional jobs as the combined size of Terminals 4 and 5 alone is three-quarters of the total current facilities. Changi Business Park will be further built up to consolidate its status as an employment hub and a vibrant business park. In addition, to capitalise on its proximity to the SUTD, potential tie-ups and collaborations are in the works with students from the university. Tampines has shown itself to be an ideal live-work-play destination that has grown in both size and scale since its development in 1992. For more information on Treasure At Tampines, simply fill up your details below and our salesperson will get in touch with you shortly!